Uptown, in a private hospital suite, Babe Vanderwalk Devens, ure exquisite socialite, just woke up from a seven-year coma. Akross town, in a luxurious high rise, a handsome young man has just been found dead and mutilated. 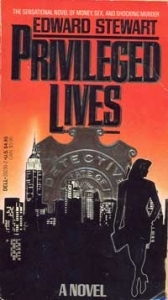 Книга «Privileged lives» Stewart Edward.